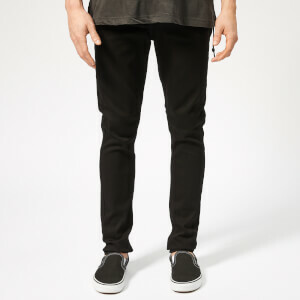 Ksubi ‘Van Winkle’ washed black jeans with a skinny fit from the thigh down to the ankle. 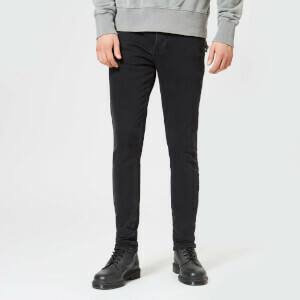 Designed in Australia, the men’s skinny jeans are crafted from premium comfort stretch denim with five-pocket styling, a short rise and subtle faded details. 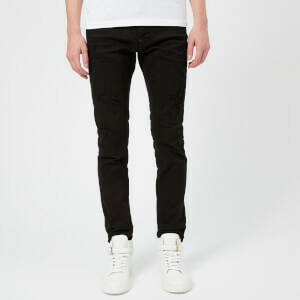 White Ksubi cross embroidery on the back and printed crossed on the back of the left leg add a signature Ksubi touch. Finished with a branded metal button fly, belt loops and a stitched ghost patch on the rear waistband.